The great grape harvest alone requires more than 1000 people, the wine-pressing some 200, and the kitchens around forty. 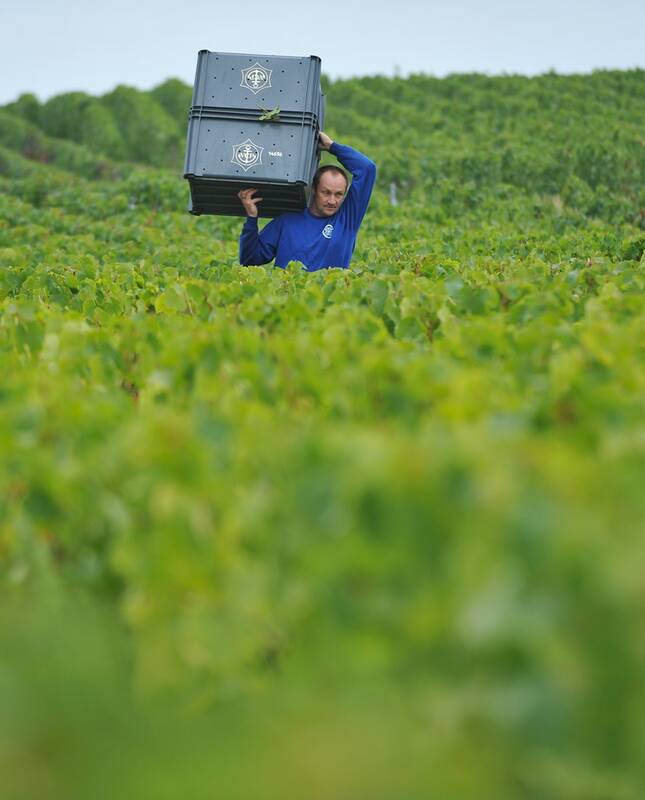 During this special time, over 500 seasonal workers are lodged and fed by Veuve Clicquot. Meanwhile, the 100 permanent staff of the vineyard are primarily involved in overseeing the picking, transporting and pressing of the grapes. Each grape is picked and placed in a basket. Each row is harvested by two grape-pickers, one on each side of the vine. If the grapes on the bunch are not healthy or equally matured enough to meet our stringent standards, they are sorted out and left on the soil. Full baskets of grapes are emptied into short bins that contain less than 50kg; this smaller size helps avoid grapes being crushed. The crates are then loaded onto trailers, to be brought back to the nearest wine-pressing center. Veuve Clicquot, in compliance with the regulations of the Comité Interprofessionnel des Vins de Champagne, records the dates of harvest for each grape variety, cru by cru. Therefore, each plot is harvested in a thoroughly precise order. Over 50 plots, representative of the totality of the Veuve Clicquot vineyards, are analyzed twice a week for over 4 or 5 weeks, to assess the maturation process of their grapes. This process enables a full understanding of the grapes’ characteristics to plan for the impending harvest. Tasting the berries is an equally important task to determine the maturity of the grapes. 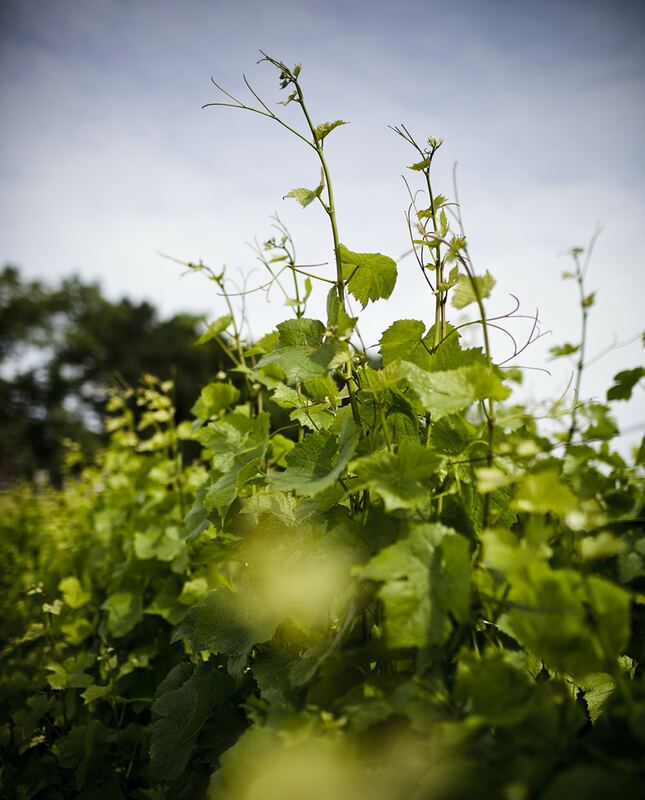 Each vine is tasted so as to determine the order it should be harvested, and in which order of the various terroirs.